A conversation between faculty & administrators, featuring Deans Winistorfer and Morton. For all faculty & graduate students, all colleges. President Sands has stated many conversations need to take place across the university, as we transition into the implementation phase of the many new initiatives underway. We wish to open up a dialogue about how faculty can best work with and support deans, so that we are working together toward common goals. We do not mean to overstep department chairs or heads, but we have less opportunity for informal conversations at the deconal level. Shared governance is a core value of the AAUP, and in order to effectively share in governance, faculty need to understand the challenges faced by administrators. Main order of business: officer elections. Please consider nominating yourself for President, Vice President, Secretary-Treasurer, Executive Committee. Agenda: organizing the budget forum; member recruitment. Announcing an Open Forum on the VT budget, featuring an independent analysis by Howard Bunsis, Professor of accounting at Eastern Michigan University and AAUP activist. Howard will provide a report, and discuss it with us. He will join us live by WebEx or Skype. Presentation of the independent report, with Q&A. Free and open to the entire Virginia Tech community. Organized by the VT AAUP chapter. 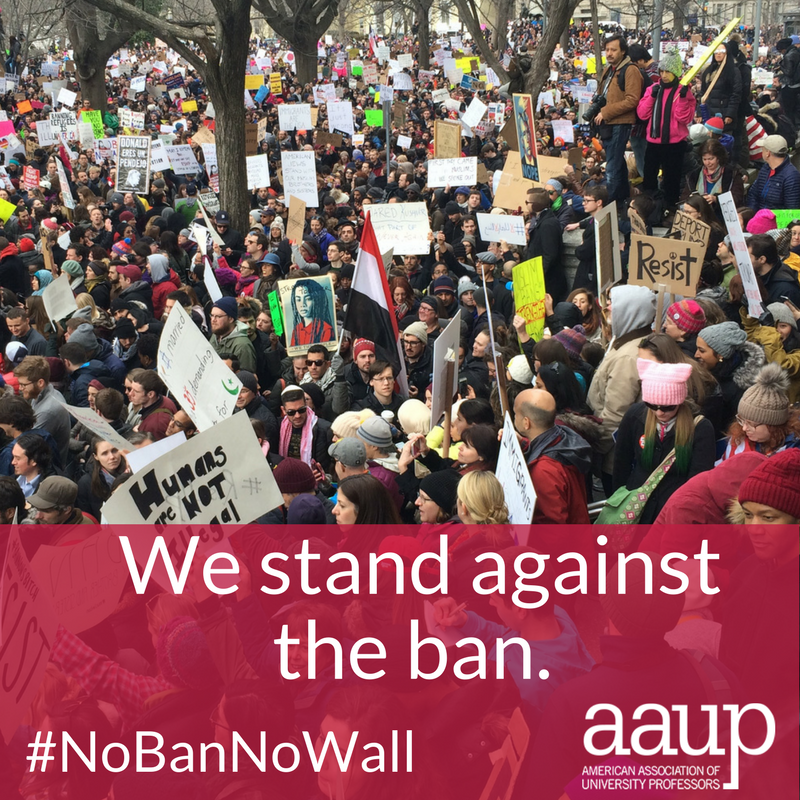 The AAUP strongly opposes Donald Trump’s unconstitutional and discriminatory ban on entry into the United States for people from some Muslim-majority countries.